A classical pianist plays the works of Schumann in Aspen on Tuesday night. No, not Robert Schumann: his wife, Clara. Pianist Karolina Syrovatkova will perform Clara’s work as Clara herself. For a young person, Felicity James has achieved a lot in the music world. She’s just 19 but she’s about to complete her fourth year at the school. This year, she is a concert master - a prestigious position in the music community. She is a first chair player and gets to take her own bow. Her position also places the responsibility of queuing her fellow players for entrances. She calls Seattle home and currently goes to the Colburn School in Los Angeles. This summer the Aspen Science Center is offering a new program in conjunction with the Aspen Music Festival and School. The Science of Music is a four-part series of lectures and demonstrations. Alan Fletcher, President of the Aspen Music Festival and a board member of the science center, is leading the project. He gives listeners a sneak-peak into this exciting new series. 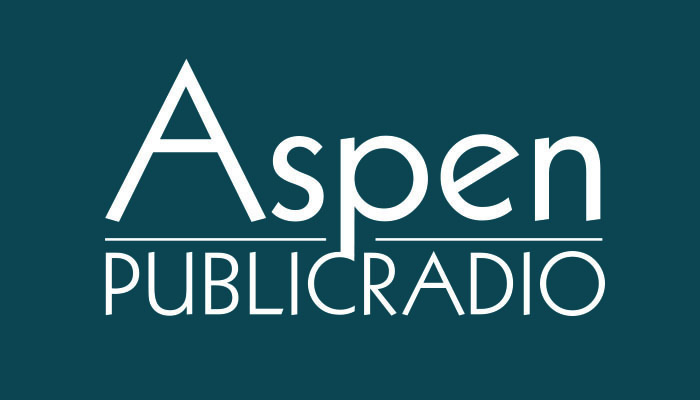 On May 7, 2015 Aspen Public Radio's Classical Music Host, Chris Mohr, interviewed mezzo soprano, Michelle DeYoung. DeYoung will be starring in the Aida Celebration Dinner at the Aspen Music Festival and School on August 7, 2015. Grammy nominated artist Robert McDuffie has appeared as soloist with most of the major orchestras of the world, including the New York and Los Angeles Philharmonics, the Chicago, San Francisco, National, Atlanta, Houston, Dallas, St. Louis, Montreal, and Toronto Symphonies, the Philadelphia, Cleveland, Minnesota Orchestras, the Leipzig Gewandhaus Orchestra, the North German Radio Orchestra, the Düsseldorf Symphony, the Frankfurt Radio Orchestra, the Deutsche Kammerphilharmonie Bremen, the Hamburg Symphony, Orchestra del Teatro alla Scala, Santa Cecilia Orchestra of Rome, Venice Baroque Orchestra, Jerusalem Symphony, Orquesta Sinfonica Nacional de Mexico, Orquesta Sinfónica de Mineria, and all of the major orchestras of Australia. He gave the World Premiere of Philip Glass’ Violin Concerto No. 2, “The American Four Seasons” a work written for Robert McDuffie with the Toronto Symphony. During the 2010–2011 season, McDuffie completed a 30-city U.S. tour with the Venice Baroque Orchestra, pairing the Glass Four Seasons with the Vivaldi Four Seasons. He has also played the Glass with the National Symphony of Mexico, the Düsseldorf Symphony, the Hamburg Ballet, the Nashville, Louisiana, San Diego, Dallas, San Antonio, and Colorado Symphonies, the Poznan Philharmonic of Poland, the Prague Philharmonia at the Prague Spring Festival, with the Scottish Ensemble in Glasgow, the Amsterdam Sinfonietta in Holland and Belgium, at the Belgrade Music Festival, and, paired with the Vivaldi Four Seasons, with the Zürich Chamber Orchestra at the Zürich Tonhalle. Today on CrossCurrents – Sallie Bernard, founder of Extreme Sports Camp, an athletic camp for kids with autism, on Light it Up Blue Aspen, a fundraiser at the Hotel Jerome on Sunday February 15th. And classical music contributor Chris Mohr with world renowned pianist Conrad Tao who is playing a house music concert for Aspen Public Radio on Wednesday, February 11th. The Aspen Music Festival and School has announced its 2015 summer season. The organization’s 300 events will center around the theme “Dreams of Travel.” The Music Festival holds classical music performances for eight weeks and instructs students from around the world. This year, the organization attracted more student applications than ever before. Aspen Public Radio’s Marci Krivonen spoke with Festival CEO Alan Fletcher. Aspen’s Police Department issued scam alert today. Law enforcement has heard from residents about calls from people saying they’re with federal agencies. People running the scam say they are with the IRS or other offices. Some leave voicemails like this one received by an Aspen resident. The scam is similar to one making the rounds across the country over the last year. The Aspen Police Department is warning residents to be cautious about any calls that involve money and are allegedly from a government agency. Residents in the El Jebel area reported a scam last month where a caller pretending to be with the Eagle County Sheriff’s office demanded money and promised to get rid of a fake warrant. Aspen Public Radio's Chris Mohr wraps up a season of interviews with renowned musicians and composers with a "debriefing" interview with Aspen Music Festival and School President and CEO Alan Fletcher. We talk about the pleasant and not-so-pleasant surprises of the season, and then Alan "tips his hand" and talks a little about next year's theme. And yes, Verdi's Aida will be performed on the big stage at the Tent! Those iconic structures you've been visiting all summer-- The Tent, Harris Hall, the Bucksbaum Campus, even the student lodging-- were all designed by architect Harry Teague. We caught up with him to talk about some of the concepts behind the buildings we've all visited so many times. Thanks to all the listeners who have told me how much they enjoy hearing great classical music every weekday on Aspen Public Radio, the AMFS for helping me find great interviewees for this show, and all the musicians and administrators who keep the music alive in Aspen! Today is Friday, August 15th. Lots of great events during this final weekend of the Aspen Music Festival’s 65th season. At 10am tomorrow in the Wheeler Opera House, it’s the summer’s final opera scenes master class with the up and coming stars of the Aspen Opera Theater Center. At 1pm tomorrow in the Benedict Music Tent, a dress rehearsal of Sunday’s Aspen Festival Orchestra concert. A 4:30pm chamber music concert tomorrow in Harris Hall includes the E-flat Piano Quartet by Dvorak and Grazioso! by Mark-Anthony Turnage. The Aspen Opera Theater Center present’s Bizet’s Carmen at 7pm tonight in the Wheeler Opera House, and that performance will be broadcast live here on Aspen Public Radio. Pianist Conrad Tao plays an eclectic recital tonight at 8pm in Harris Concert Hall. The program includes Mussorgsky’s Pictures at an Exhibition. Tomorrow at 4pm will be the final concert of the season. The Aspen Festival Orchestra will be conducted by Robert Spano and joined by an illustrious lineup of soloists and the Colorado Symphony Chorus conducted by Duain Wolfe. Arvo Part’s Fratres opens the program, followed by the Monologue and Coronation Scene from Mussorgsky’s Boris Godunov. Today is Thursday, August 14th. Today at 10am in Harris Concert Hall, Yoheved Kaplinsky gives a piano master class. A free Spotlight Recital takes place today at noon at the Aspen Community Church. The final Chapel Chamber Music recital of the season will be performed today at 4:15pm in the Aspen Chapel. At 5pm today in Harris Concert Hall, it’s a free family concert for all ages featuring Saint-Saens’s The Carnival of the Animals. Come at 4pm for free, kid-friendly refreshments and activities in the Hospitality Tent. The Basalt Regional Library is the site of a free recital at 5:15pm today. At 7pm in the Wheeler Opera House, the Aspen Opera Theater Center presents Bizet’s Carmen, directed by Edward Berkeley and conducted by Josep Caballe Domenech. Behzod Abduraimov plays two Chopin ballades, Beethoven ‘s Appasionata Sonata, and works by Liszt and Ravel in a recital tonight at 8pm in Harris Concert Hall. The season’s last free String Showcase takes place tonight at 8:30pm in Edlis Neeson Hall on the Bucksbaum Campus. And also at 8:30pm in Scanlan Hall, guitar students of Sharon Isbin will give a free recital. Today is Wednesday, August 13th. Today’s High Notes at noon in Paepcke Auditorium features a discussion of Beethoven’s Ninth Symphony in anticipation of Sunday’s Aspen Festival Orchestra performance. Admission is free. At 3pm today, top student talent perform a diverse program in a free Spotlight Recital in Harris Concert Hall. The Aspen Philharmonic gives its final concert of the season at 6pm tonight in the Benedict Music Tent. Jane Glover conducts and violinist Fabiola Kim will be featured in The Lark Ascending by Vaughan Williams. Rachmaninoff’s Rhapsody on a Theme of Paganini will be performed by the Piano Competition Winner, and Mendelssohn’s 3rd Symphony, “Scottish,” concludes the program. Metropolitan Opera favorites soprano Susanna Phillips and bass-baritone Eric Owens will give a recital tonight at 8:30pm in Harris Concert Hall with Aspen Music Festival Music Director Robert Spano at the piano. Festival Showcase - Susanna Phillips, Aspen Percussion Ensemble & "Standing Out, Fitting In"
The last week of the Aspen Music Festival always seems packed especially tightly with great musical artists, and this year in no exception. Today host Chris Mohr chats with soprano Susanna Phillips in anticipation of her joint recital with bass-baritone Eric Owens. We also catch up with her former professor and composer Philip Lasser, whose recently released CD Colors of Feelings features Susanna's expressive and beautiful voice. We also talk with Aspen Percussion Ensemble director Jonathan Haas and hear from some of his students. We end the show with a visit to a rehearsal of the Aspen Jewish Congregation's vocal tribute to Jewish Stories and American Songs, "Standing Out, Fitting In" at the Aspen District Theatre. Today is Tuesday, August 12th. A free Spotlight Recital takes place today at noon in the beautiful Aspen Chapel. At 1pm in Harris Concert Hall, Donald Weilerstein, father of cellist Alisa Weilerstein, gives a violin master class. At 4pm today in the Benedict Music Tent, the season’s final free concert by the American Academy of Conducting at Aspen Orchestra presents top conducting students in Mozart’s Violin Concerto No. 5 in A, sometimes called the “Turkish” Concerto. The soloist will be the AACA Violin Competition Winner. Also on the program, Mahler’s 5th Symphony which includes the exquisite Adagietto. Nikolai Lugansky plays a piano recital of works by Franck, Prokofiev and Rachmaninoff tonight at 7:30pm in Harris Concert Hall. Today is Monday, August 11th. Today at 10:15am is your last chance this season to take a free guided tour of the Bucksbaum Campus. Meet at the Administration Building. The summer’s last free guided backstage tour of Benedict Music Tent and Harris Concert Hall takes place today at noon. Meet on Tent Plaza in front of the Tent. At 6pm today, an illustrious lineup of Aspen Music School faculty members team up for the rarely heard Quintet in D major for Clarinet, Horn, Violin Cello and Piano by Vaughan Williams, the Bloch First Piano Quintet, and a chamber music work by a student in the composition program. Today is Friday, August 8th. A noon Spotlight Recital takes place at the Aspen Community Church featuring some of this summer’s most talented students. Admission is free. At 2pm today in the Aspen Chapel, top piano students offer a free recital. The Aspen Chamber Symphony gives a concert at 6pm today, with Jane Glover (GLUV-er) conducting. Alisa Weilerstein will play Haydn’s D major Cello Concerto and soprano Susanna Phillips will sing selections from Richard Strauss’s Brentano Lieder. Beethoven’s buoyant 8th Symphony concludes the program. Tomorrow at 10am, the Aspen Opera Theater Center will perform staged opera scenes as part of a master class in the Wheeler Opera House. At 8pm tomorrow, conductor Harry Bicket will be joined by star soloists for a Baroque Evening featuring works by Rameau and JS Bach. Sunday morning at 9pm in Harris Concert Hall, the American Academy of Conducting at Aspen Orchestra will perform works by composition students which will then be discussed by a distinguished panel. The event is free. James Feddeck conducts the Aspen Festival Orchestra on Sunday at 4pm in the Benedict Music Tent in Rachmaninoff’s 3rd Piano Concerto with Nikolai Lugansky, Dvorak’s Carnival Overture and Scriabin’s sensuous Poem of Ecstasy. Bizet’s opera Carmen will be performed Sunday at 7pm at the Wheeler Opera House with additional performances on August 12th, 14th and 16th. Today is Thursday, August 7th. Pianist Inon Barnatan gives a master class this morning at 10am in Harris Concert Hall and then returns there this evening at 8:30pm for the Bach Chromatic Fantasy and Fugue in d minor, BWV 903, Schubert’s G major sonata, D. 894, Franck’s prelude, choral and fugue, the US premiere of Pintscher’s whirling tissue of light, and the Barber sonata. At 10:30am this morning at the Pitkin County Library, it’s Tunes and Tales, a free program for ages 4-9 with an adult. Listen to enchanting stories along with classical favorites performed by AMFS students. Lots of other free events today: at noon, it’s a Spotlight Recital at the Aspen Community Church, with a diverse program featuring top student talent. At 2pm in Harris Concert Hall, two ensembles from the Advanced Quartet program, the Ariadne and Zora String Quartets, give a recital in Harris Concert Hall. Chapel Chamber Music takes place at 4:15pm in the Aspen Chapel, and at 5:15pm the Basalt Regional Library is the site of a recital. A String Showcase at 8:30pm tonight will be offered in Edlis Neeson Hall on the Bucksbaum Campus. Today is Wednesday, August 6th. Join Aspen Music Festival President and CEO Alan Fletcher in conversation with pianist Inon Barnatan and violinist Stefan Jackiw today at noon in Paepcke Auditorium. These High Notes programs are always free, and offer fascinating insights about the music and musicians you’re enjoying this summer. Harris Concert Hall is the place to be at 3 today when top students showcase their talents in a free Spotlight Recital. At 6, James Feddeck leads the Aspen Philharmonic in John Adams’s high-energy Short Ride in a Fast Machine. Stefan Jackiw joins the orchestra for Prokofiev’s challenging Second Violin Concerto, and the concert concludes with the majestic First Symphony by Brahms. Cellist Alisa Weilerstein will give a solo recital tonight at 8:30 in Harris Concert Hall. Along with the 3rd Bach Cello Suite, she’ll play works by Benjamin Britten, Osvaldo Golijov and Zoltan Kodaly. Classical Music from Aspen host Chris Mohr chats with Opera Director Ed Berkeley about this weekend's opening night performance of Carmen. Then we talk about the nine Ballades of three composers performed by Finnish pianist Juho Pohjonen in this evening's piano recital at Harris Hall at 7:30 pm. Festival Showcase ends with a conversation with star mezzo-soprano Isabel Leonard about her career, aspirations, and challenges as a single mother. Today is Tuesday, August 5th. A free Spotlight Recital today at noon at the beautiful Aspen Chapel showcases top student talent. At 1 today in Harris Concert Hall, cellist Alisa Weilerstein gives a master class. Her solo recital will be tomorrow at 8:30pm in Harris. At 4pm today, the American Academy of Conducting at Aspen Orchestra gives a free concert featuring this summer’s conducting students. The winner of the brass/percussion competition will play a concerto, and the tragic and beautiful 6th Symphony of Tchaikovsky concludes the program. Finnish pianist Juho Pohjonen plays Ballades of Grieg and Brahms and all four of the Chopin Ballades tonight at 7:30pm in Harris Concert Hall.